Industrial Table Lamp Made with an Original Early 20th Century Electric Westinghouse Turnover Toaster. 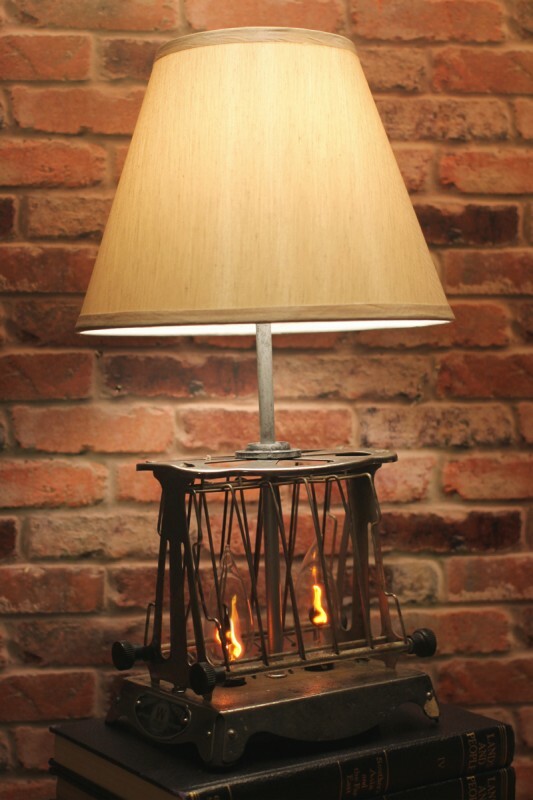 This is a rustic vintage lamp made with a toaster that has been converted into a working Steam Punk table lamp. Heating elements have been removed and replaced with new wiring for the table lamp conversion. Thanks for sharing my “loftyideas4u” industrial Vintage Toaster Lamp!